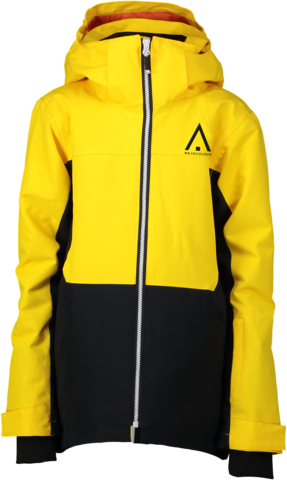 The Split Jacket is a water- and windproof jacket equipped with all the features required for the ski slopes or other winter activities. Featuring WearColour's PineTech membrane, with a 10K waterproof and 10K breathability rating. Lycra cuffs at sleeves end. 10 K Waterproof/10 K Breathability 2L Shell fabric: 100% Polyester taslan colour White, 100% Nylon taslan colour Black. Lining: 100% Polyester 210T. Padding: 80g high loft synthetic Polyester.